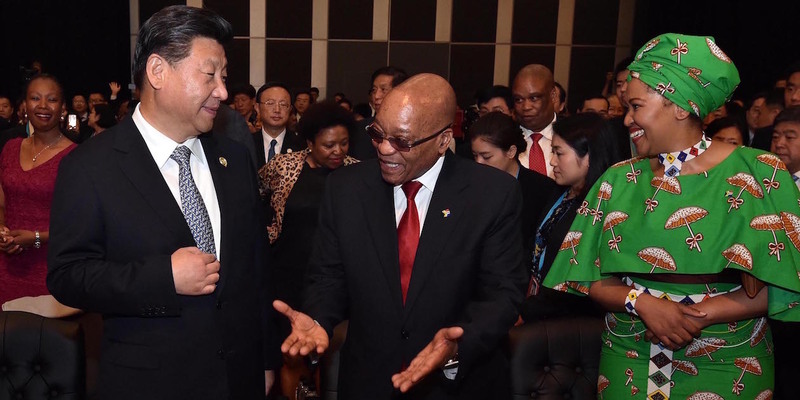 China’s President Xi Jinping and South Africa's President Jacob Zuma and his wife converse at the 2015 Forum on China-Africa Cooperation (FOCAC) in Sandton, Johannesburg. Photo by GCIS, licensed under (CC BY-ND 2.0). China’s overseas investments and engagements are on the rise, a fact underscored by Beijing’s announcement last week of a new international development cooperation agency to coordinate its foreign aid—a first move toward transparency from one of the world’s most non-transparent donors. Pundits refer to this growing use of money and public diplomacy as a “charm offensive” and its formation of new multilateral institutions as a bid to exert leadership on a global stage. Meanwhile, a narrative of China as a “rogue donor” has emerged, speculating that China gives to corrupt regimes, extracts natural resources, exploits human rights, and is in direct competition with the US. The US House Foreign Affairs Committee went so far as to refer to China’s “new colonialism” in Africa during a recent hearing. How much of this is myth versus fact? By drawing on several novel sources of data and analysis collected by AidData — including findings from a forthcoming report analyzing our 2017 survey of leaders in 126 countries and our recent global dataset on US$354 billion in Chinese official finance investments — we can examine China’s actual development footprint and influence with African leaders to spotlight what China is spending, why, and to what effect. Following the money: In which countries and sectors is China placing bets? 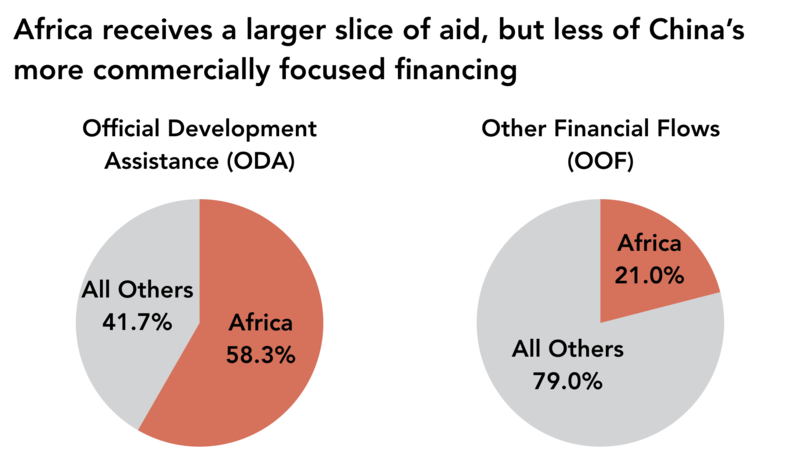 Many Western countries ascribe to the Organization for Economic Cooperation and Development’s view of aid as limited to official development assistance — primarily intended for development and highly concessional in its terms, these flows must include a grant element of more than 25 percent. But this notion of “aid” does not fit the approach of emerging donors like China, and discounts other official finance contributions that are less concessional or multi-purpose in advancing development along with commercial or diplomatic ends. 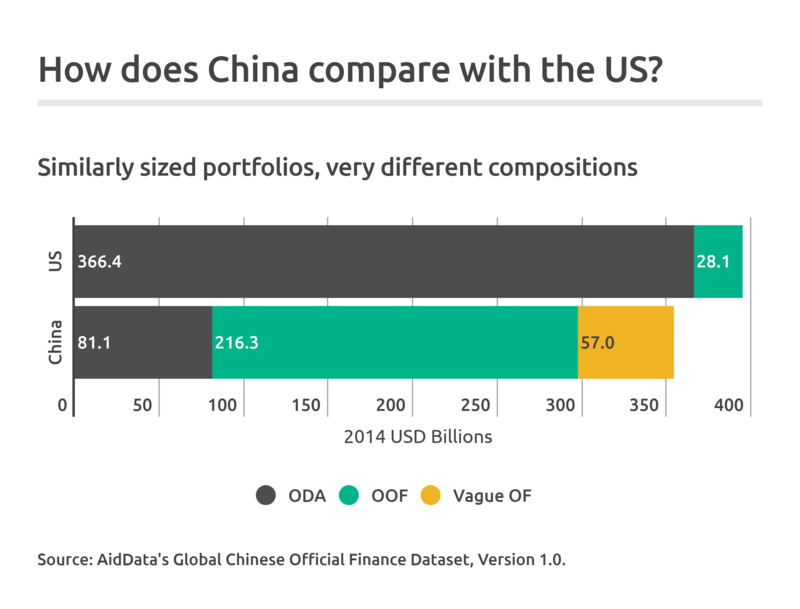 These distinctions matter: the US dwarfs China in official development assistance, but the two countries have similarly sized official finance portfolios overall between 2000 and 2014. If we looked at aid alone, we would not be able to accurately gauge the full extent of China’s global development footprint. For this reason, AidData collects information on two types of Chinese overseas investments: (1) official development assistance (ODA or “aid”); and (2) other official flows (OOF). Globally, China has been steadily increasing its official finance investments in other countries, but these flows are less concessional than that of other large players like the US. Consistent with speculation in popular media and policy circles, China is making big bets in the infrastructure sector, as the lion’s share of its investments globally between 2000 and 2014 were in energy (US$134.1 billion), transportation and storage (US$88.8 billion), telecommunications projects (US$16.9 billion) and mining, construction and industry (US$ 30.3 billion). Seven of the top 10 recipients of Chinese “aid” (ODA) were in Africa, but its other official flows (OOF) are more geographically dispersed. Cote d’Ivoire, Ethiopia, Zimbabwe, Cameroon, Nigeria, Tanzania, and Ghana collectively received US$23.3 billion in official development assistance from China between 2000 and 2014. Africa is less of a priority for China when it comes to its more commercial or diplomatically focused other official financing: Angola is the lone African country in the top ten recipients of Chinese OOF, receiving $13.4 billion. Pinpointing motivations: What is driving Chinese official finance investments? In some respects, the facts don’t support the “rogue donor” rhetoric. According to an AidData working paper now published in ISQ, Chinese aid (ODA) appears to be more responsible than we typically give it credit for: it generally goes to poorer countries and is given without strings attached (i.e., granting access to natural resources or commercial ties). Nor does it appear to go disproportionately to authoritarian or corrupt regimes. However, there is an important exception where China’s aid giving appears to follow the prevailing narrative of quid pro quo – buying votes. If African countries voted with China in the UN General Assembly an extra 10% of the time, they would get an 86% bump in official development assistance on average. Yet, in its deployment of other official flows, China appears to be playing by different rules that hue more closely to the self-interest narrative. 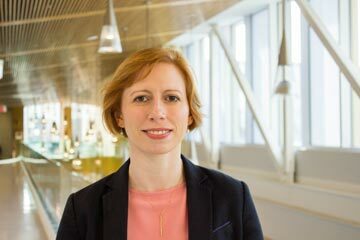 The authors of a 2017 AidData working paper find that Chinese OOF primarily goes to countries that have greater capacity to repay loans, have larger natural resource endowments, are more corrupt, and are considered valued trading partners. The prognosis is mixed on the downstream effects of this growing Chinese development footprint in Africa. Chinese aid (ODA) appears to bolster Africa’s economic growth and does not appear to undermine the effectiveness of Western assistance. However, despite their commercial and diplomatic intent, China’s other official flows have a muted impact on economic growth in Africa. Winning hearts and minds: How do African leaders view China’s soft power? According to two surveys AidData fielded to policymakers in 126 countries in 2014 and 2017, popular arguments that China is rapidly eclipsing US interests and influence worldwide may be overstated. As our forthcoming report on the 2017 Listening to Leaders survey finds, China still trails the US in agenda setting influence with leaders in low- and middle-income countries (Custer et al., forthcoming). Sixty-five percent of leaders view China as quite or very influential in informing their domestic policy priorities compared with over 80 percent for the US in 2017. However, another interpretation could be that China is a relatively young donor and is just getting started. In Africa, the picture is more nuanced:in 2017, the US still had a strong influence edge over China with leaders in sub-Saharan Africa, but is falling behind in the Middle East and North Africa. The US surpasses China’s influence in several policy areas: governance, social, environmental policy among them. Meanwhile, China is viewed as quite influential among leaders working on economic policy and it surpassed US influence in infrastructure for the first time in 2017. These survey results tell us that the substantial investments made by China in the infrastructure sector are indeed paying off in increased influence with world leaders. In comparing survey responses from 2014 and 2017, China is rapidly gaining ground when it comes to agenda-setting influence with policymakers in low- and middle-income countries. More on this is still to come, with AidData’s forthcoming publication analyzing the full survey results slated for April 2018. So, how might we explain China’s rising influence? Money may not buy love, but it does give donors a seat at the table with policymakers in low- and middle-income countries. China holds most sway with leaders from countries that are heavily dependent on its grants and loans. Beyond money, public diplomacy tools can work together with development assistance to amplify influence with African leaders. For example, China has more influence in countries where leaders had greater interaction with the Chinese Communist Party and less influence in countries that had more leaders educated in the US and a higher number of Fulbright scholars. ‍China’s President Xi Jinping attends a 2017 meeting of BRICS leaders and delegation heads from several states with emerging markets. Photo by the Office of the President of Russia, licensed under (CC by 4.0). China’s rise: What does the future hold for China’s foothold in Africa? It remains to be seen whether China’s foothold in Africa will grow or wane in the next few years. The answer depends upon the confluence of three factors. For it to grow, China must first translate the fanfare of its financial commitments into projects delivered on the ground or African leaders will see through empty promises. Second, African leaders must view engagement with China as a net positive in spite of higher interest loans and the use of Chinese (rather than African) labor. Finally, the terms or extent of official finance from Western countries like the United States and the United Kingdom to Africa must continue to decline due to pressures from taxpayers at home. Regardless of the outcome, AidData will continue to be at the forefront of innovating new tools to monitor the reach, influence, and impact of this important global development player. Sid Ghose, Brooke Russell, Mengfan Cheng, Brad Parks, Taka Masaki, and Matt DiLorenzo contributed to the underlying analysis. For more information on AidData’s Listening to Leaders survey, see http://aiddata.org/listening-to-leaders. More information on AidData’s Global Chinese Official Finance Dataset is available via http://aiddata.org/china.